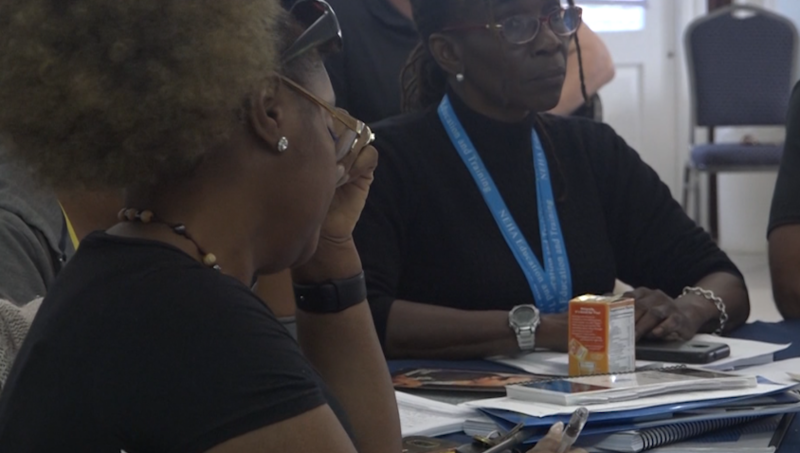 Food inspectors throughout the Virgin Islands are getting trained on keeping food safe in the event of a disaster. It was the second in a series of training seminars for the territory’s Environmental Health Inspectors. In the meeting held at the Buccaneer Resort Friday March 29th, trainees learned about risk-based inspections, temporary food establishments, and food safety issues. It was hosted by the National Environmental Health Association in collaboration with the VI Department of Health and the Centers for Disease Control and Prevention. They also got a visit from eleven high school students who are currently studying Food Safety in the Classroom.